The Gordini Aquabloc Down Gauntlet III Gloves provide unprecedented warmth and comfort through its breathable fabrics, waterproof insert and down insulation. The Naturaloft Down Insulation provides 600 Fill Power Goose Down and a Megaloft Insulation on the palm which means these gloves will remain extremely warm and cozy all day. The Hydrowick Microdenier Lining helps wick the moisture and sweat away from your hands to ensure they are comfortable while the Aquabloc Insert prevents any snow from penetrating its barrier. 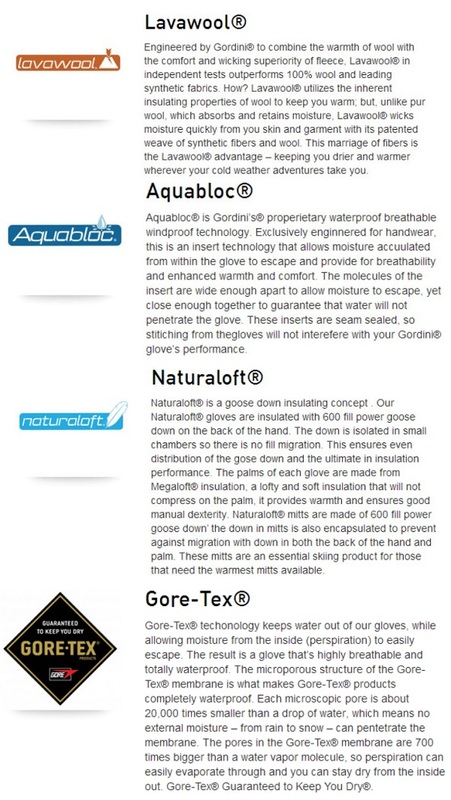 The Aquabloc also provides breathability and wind proofing for these gloves. The Pre-Curved Construction offers a relaxed fit so your fingers and hands are always in a natural position and a nose wipe will give you the opportunity to make sure you're looking your best in the chairlift line. 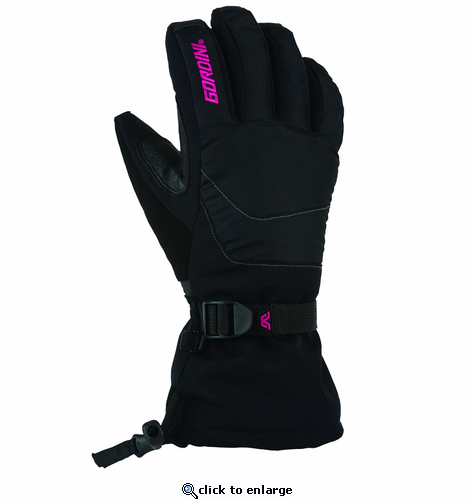 With durable fabrics, waterproofing and breathability, the Gordini Aquabloc Down Gauntlet III Gloves will be your warm and comfy choice on your next ski trip. Durable heavy denier fabric with 3 layer thermal ply waterproof, windproof, breathable trim, dura-grip palm and thumb with stick-grip fingers, wrap caps, and reinforcement. Naturaloft® insulating concept: 600 fill power of 70% goose down 30% waterfowl feathers on the back of the hand with Megaloft® on the palm side. Hydrowick microdenier lining, with ultra breathable, waterproof, windproof Aquabloc ® insert. Naturaloft®, Megaloft®, Aquabloc®, Gauntlet cinch closure, pre-curved construction, wrap caps, nose wipe, palm and thumb reinforcement. Having been frostbitten in the past finding a glove rather than a liner and mittens that offer any warmth is tough.Since I walk my dog at 5:30am and 6pm I was looking for a glove that would keep my fingers warm. These down gloves actually work down to 20 degrees before I had to switch to mittens. This was the best of the gloves I have tried including ones that were twice the price.